Discussion in 'UFC Discussion' started by Notoriouslefthand, Mar 30, 2019. Entire event is build around McGregor. Max and Dustin are basicly fighting for another shot on Conor McGregor. They have no chance in rematch but they want that big payday. McGregor beat both of these guys by devastating fashion. One he played three rounds with one knee only. One he KO'd with one of the most vicious punches we have ever seen in pro mma. I am your real dad, Soul On Ice, Sole and 1 other person like this. Hello Linda Lovelace, glad you found Sherdog. Numtums, Twink182, JustBleed69 and 3 others like this. Mokiller, Tchernobog, Okajima and 12 others like this. Twink182, BooBoyMan, basedgodfedor and 4 others like this. I am your real dad, Fraz, Soul On Ice and 3 others like this. Istryker, JokersKnife, BooBoyMan and 5 others like this. Twink182, JokersKnife, GTS and 10 others like this. ill give you the poirer win but max was like 20 and lost to bermudez before that lol. he has max's name on his resume, thats about where it ends. and tony is the legit #1, not those guys. magicmarker, Lemmy and Th3Sav4ge like this. What if their was a Khabib/Nate or Khabib/Duffy main event? Sterling and Dana's Moonface like this. Hypetrainofthemonth, and 68 others like this and Lemmy like this. Well Bermudez is only wrestler hes ever faced. Twink182, Dana's Moonface and Death By Samson like this. so who does he need to fight? conor never got in there with edgar, he beat mendes who took it on short notice but thats about it. eddie is not a strong offensive wrestler. until khabib the only real offensive takedown threat conor got in there with was mendes. Makes you wonder just how good Duffy is! Hypetrainofthemonth, TripTictonic, Okajima and 10 others like this. Istryker, acannxr, Twink182 and 8 others like this. 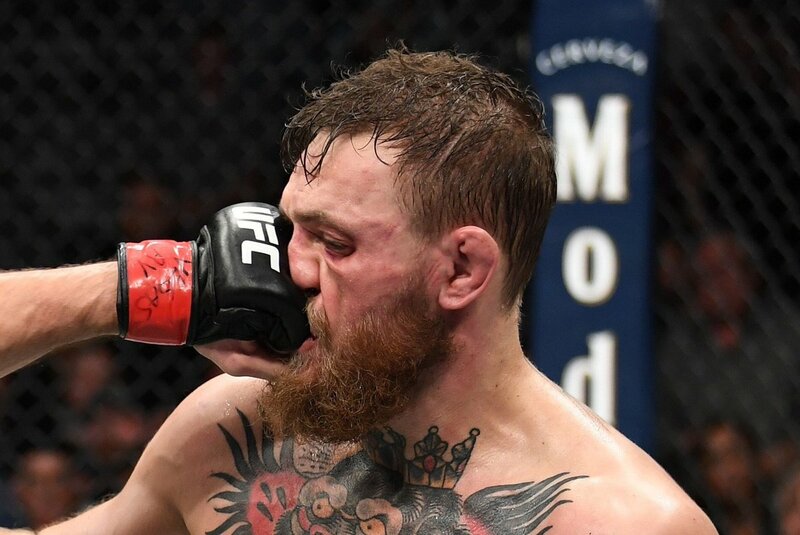 How good Conor McGregor "WAS" Dude aint nothing but a wannabe mixed martial artist these days.. A random guy without even one professional amateur bout can beat him. Makes you wonder how good Duffy is! Ricardo Lamas was a ncaa division 3 wrestler, dunno how great that is but still a wrestler.